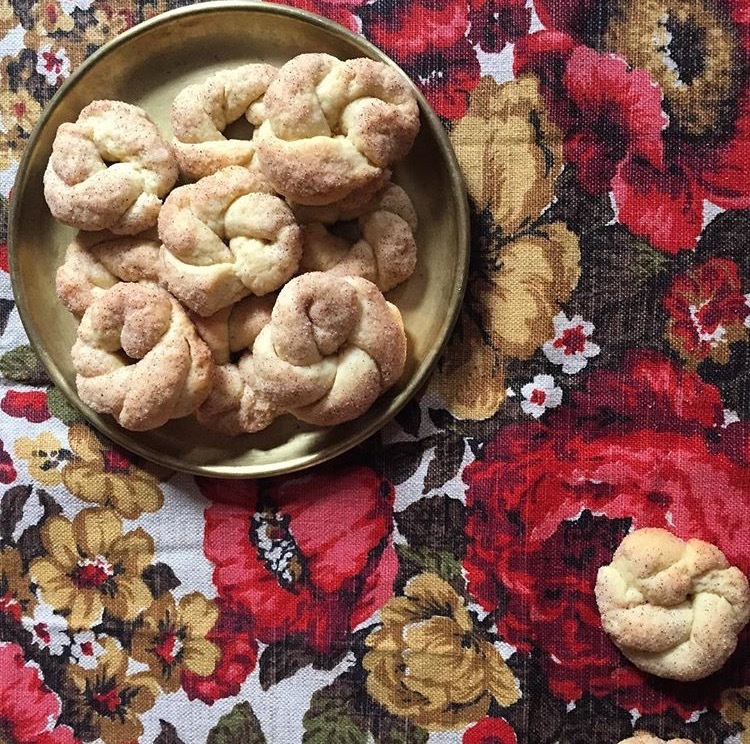 In particular, Renana gravitated toward making food with her mother and grandmother, both originally from Tunisia. Renana’s mother, Tsivia Tobi, immigrated to Israel from Gabes, Tunisia, with her parents and five siblings. Their history is a complex one. Renana’s maternal grandfather, Moshe Cohen, was a fabric merchant, and his family lived comfortably in a beautiful home where French and Arabic were spoken. But Renana's grandmother, Varda Cohen, was an ardent Zionist and longed to live in Jerusalem. There were times during when the family didn’t feel safe in Tunisia, so when Israel was established, the Cohens decided to move. The family sold everything they owned and immigrated to Israel in the early 1950s. The Cohens were sent to a temporary city in the south of Israel, soon after Varda fulfilled her dream and the family moved to Jerusalem. They lived in a shack for years in Talpyot in a neighborhood called a ma'abarot. It was a very difficult time. “Europeans were treated differently, and better,” says Renana. Tsivia and her siblings learned to speak Hebrew and assimilated quickly, but their parents struggled, and her Mom spoke only Arabic. Tsivia later went back to school and wrote a PHD dissertation on the culture of Jewish women in Tunisia, who passed on their knowledge through food and song, telling stories while working in the kitchen. Renana grew up in a modern Orthodox religious home, where Shabbat was celebrated with big meals on both Friday and Saturday. Dinner on Friday night always meant breaded sole with tomato sauce rich with cumin and coriander, and turmeric-tinted chicken soup with big chunks of vegetables. 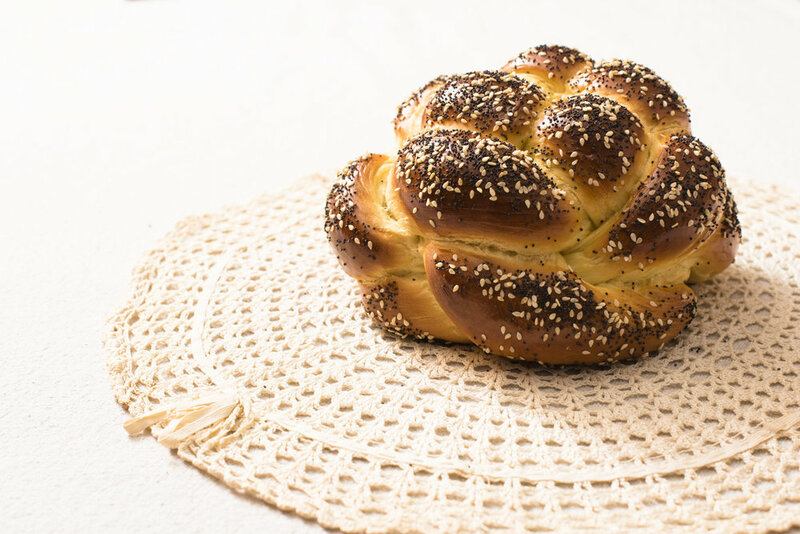 On Saturday, challah was rarely on the table, but there was always kubaneh, an overnight Yemenite sabbath bread, plus Yemenite pita, and sometimes jachnun or malawach. These were all specialties that Tsivia learned from her Yemenite husband’s mother. Though there aren’t great Tunisian cookbooks out there, according to Renana, the following recipes are for some of her favorite dishes that remind her of home. 1. Place the tomatoes, red peppers, jalapeños, and 3 garlic cloves on a large sheet pan. Broil in the oven turning frequently until charred on all sides (30-40 minutes total). Remove garlic first (around 10 minutes), then tomatoes and jalapeños (around 25 minutes) and finally red peppers (around 35-40 minutes). Let cool in plastic bag or tupperware container. 2. Peel the tomatoes, red peppers and jalapeños carefully, without washing. Remove seeds and stems and dice finely. 3. Combine tomatoes, red peppers, jalapeños, roasted garlic, fresh garlic, capers, lemon juice, olive oil and salt. 4. Mix well and transfer to jar. Cool in fridge. 1. Sprinkle chard leaves with salt and let sit in colander 10 minutes. Working by hand, squeeze out excess water and chop coarsely. 2. Combine parsley, cilantro, and dill and finely chop. 3. Place chard, chopped herbs, onion, harissa, coriander, caraway, bread crumbs, ½ teaspoon salt, and ¼ teaspoon pepper in large bowl and combine well. 4. Add eggs and mix to incorporate. 5. Shape 3 tablespoons of the mixture into round flat patties. Repeat with the remaining mixture. 6. Pour ¼ inch of oil into a large heavy bottomed skillet and heat over medium high heat. 7. Dip each patty into egg and add to oil. Fry 2-3 minutes on each side until a crust forms and the patties are set. Remove from oil and place on a plate lined with a paper towel. 8. Serve immediately or at room temperature with mashweye salad or greek yogurt.